This is a website for a side business that I launched, offering video production services with a particular emphasis on live stream video. Blog articles offer free advice and drive traffic. Aesthetically, this was an exercise in cleanliness and elegance—almost to the point of minimalism. This project started life on Peterscene 1.0 as a proof-of-concept, but I decided I liked it enough that it needed to be its own website. 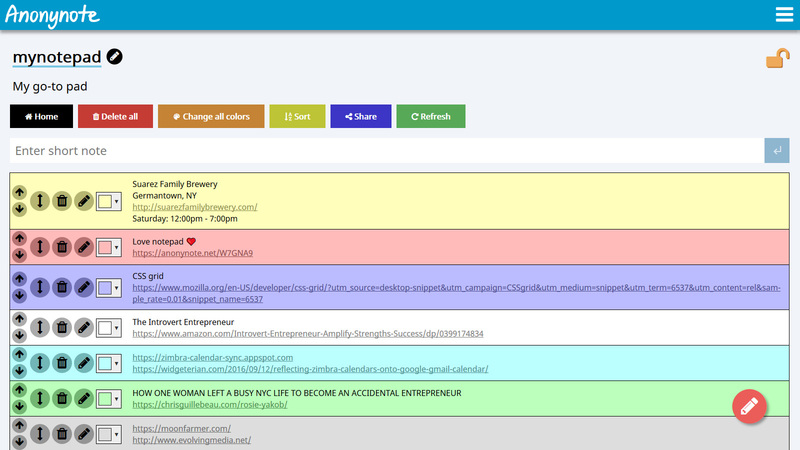 The idea was to create a lightweight web app for maintaining and organizing notes—no logins, no passwords. Quick and easy. Among other uses, my thought was to have a space for storing unmemorizable textual information that I could quickly copy and paste from. I was inspired by a website called Dispostable, which I have long been a patron of. It allows you to access any email inbox at the dispostable.com domain—perfect as a substitute for giving a questionable site your real email. You cannot password protect these email accounts. Your only protection is that no one knows which account you’re using. There’s no directory. In essence, your email address is your password. So it is with Anonynote. You create a notepad and fill it with notes. Color code it and arrange it to your taste. Anyone can open the same notepad you’ve created, but, there’s no directory. No one knows your notepad name except you. As long as it isn’t completely generic, the odds of someone stumbling upon it are slim. I received a commission from Blair to troubleshoot her professional site’s server response time, which was lagging. A breezy server response time is critical to the success of a website. There are many steps that can be taken to speed up your site. 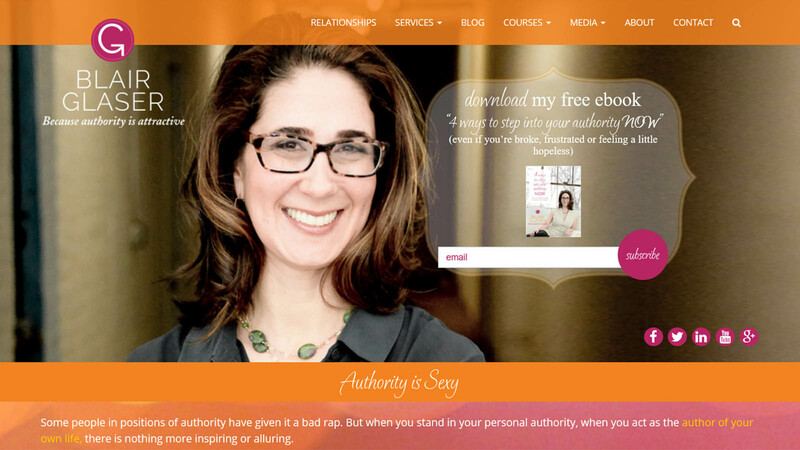 I developed a new, professional website for Karin using WordPress. 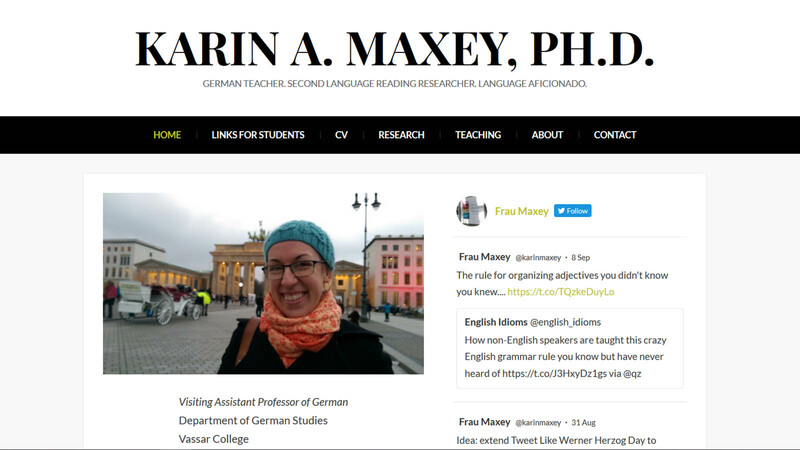 It not only acts as a CV for her, but also contains resources for her students. A good website is better than any resume! Albany KTC, a non-profit Dharma center teaching authentic Tibetan Buddhism, contacted me about a website overhaul. They had gone through several web developers in the past, and what they were then operating with was a bizarre hybrid of a WordPress site and a great deal of custom code. I sifted through everything and consolidated it under WordPress. This job was equal parts archaeology and janitorial work, as well as updating for responsive design. I enjoyed the challenge! 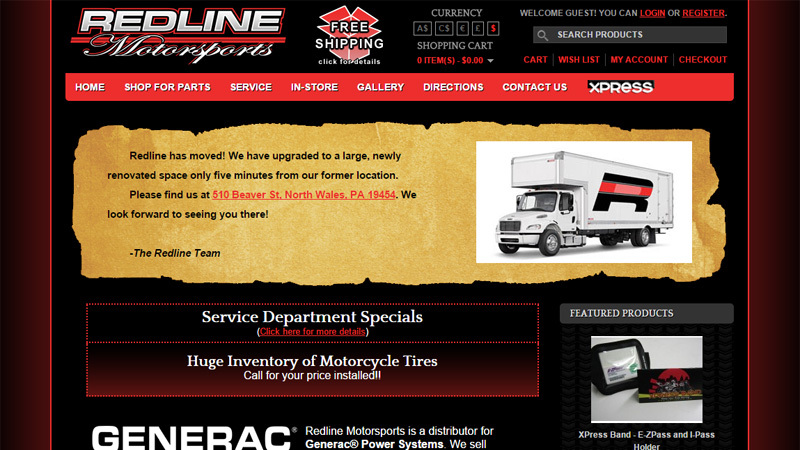 I managed Redline Motorsports’ online identity since 2007, from branding, to design, to sales. This latest incarnation of the website was built for e-commerce. To date, total sales exceed $45,000, and that was with a limited advertising budget. In addition, the success of this website drove sales on other platforms, including Amazon and eBay. The company continues to grow and evolve. I am happy to have contributed to their success and look forward to seeing what’s next.